The PZ-Deluxe is a studio quality instrument preamp in a compact pedal for live stage use, with tone-shaping EQ controls and built-in boost & mute footswitches. 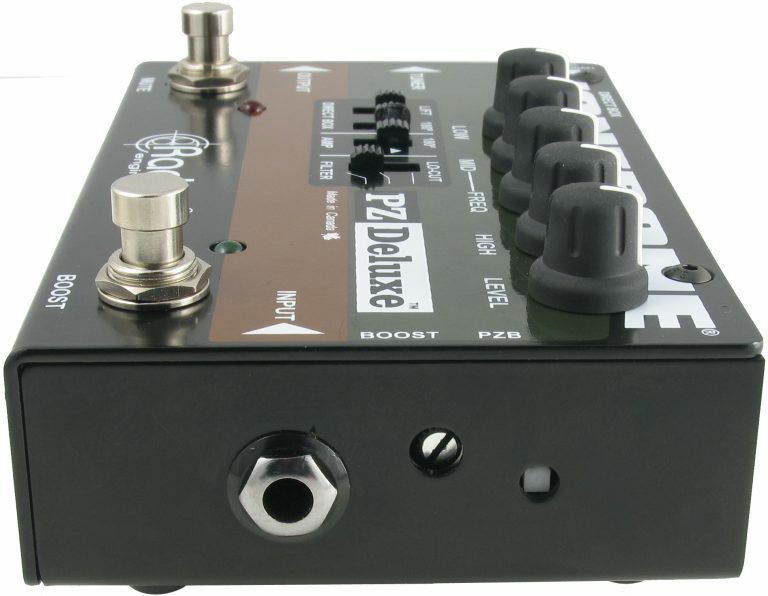 The PZ-Deluxe is an instrument preamp with a low noise front end that is capable of exceptional dynamics to adapt to all instruments including acoustic guitar, upright bass, mandolin and violin no matter what type of pickup system is being used. 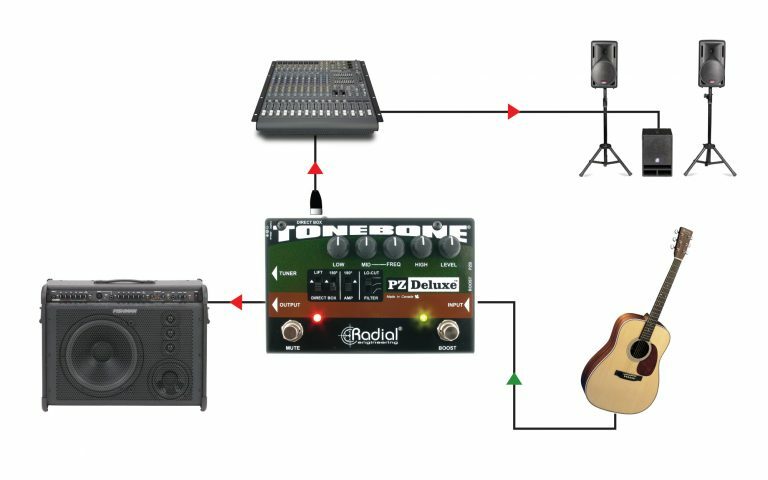 Powerful EQ controls allow you to shape your tone through the PA and a stage amp, with a low cut filter and 180° polarity reverse switches to help eliminate feedback on stage. 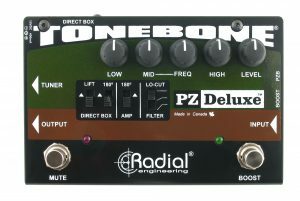 A special PZB gain stage can be activated for use with instruments that have piezo transducers, increasing the input impedance to 10 meg ohms to eliminate the squawk and harshness that are sometimes associated with those pickup systems. 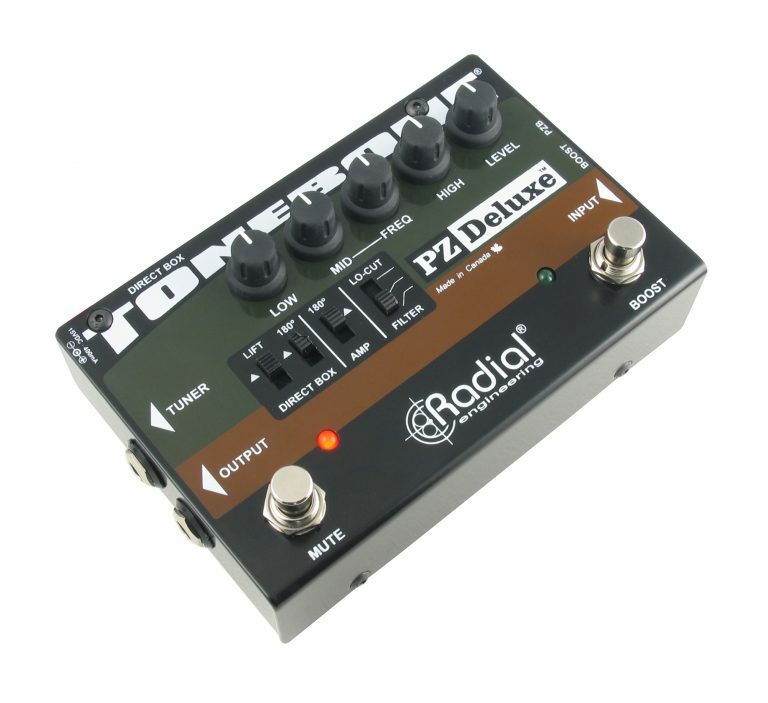 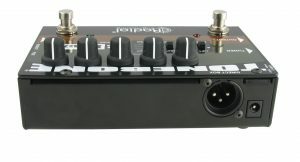 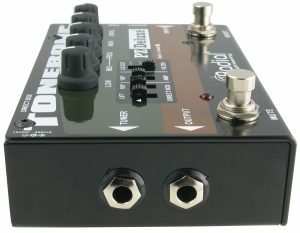 The PZ-Deluxe also features a high quality Radial DI to provide a balanced output that can drive cables of over 100 meters (300ft) without noise into the PA system, and built-in mute and boost footswitches give you instant control for solos, instrument changeovers, or silent tune-ups on stage. 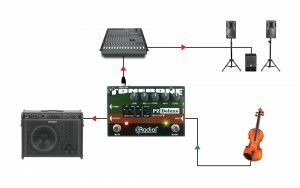 The PZ-Deluxe 15V supply delivers more headroom than typical 9V devices for greater dynamics, less distortion and more natural tone. 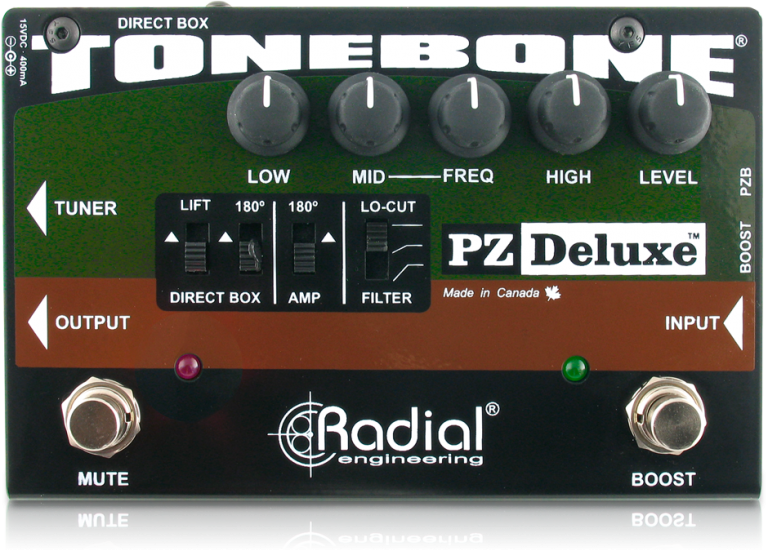 This makes the PZ-Deluxe the perfect front end for acoustic guitars with built-in active systems, electric violin and magnetic pickups. The studio quality preamp delivers exceptional performance no matter what instrument you plug in. 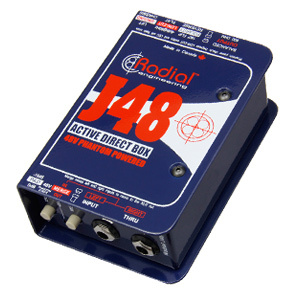 This makes the PZ-Deluxe a great choice for acoustic bass, viola, mandolin, banjo or just about any acoustic instrument. Bypass your external preamp by turning on the PZB for optimum performance. 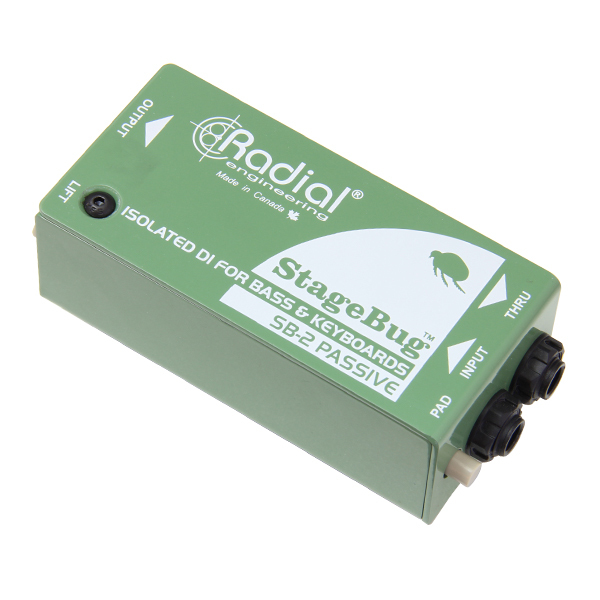 "It appears to have been designed by someone who has intimate knowledge of the problems faced by acoustic guitarists who rely on active or passive piezo-based pickup systems in their instruments... 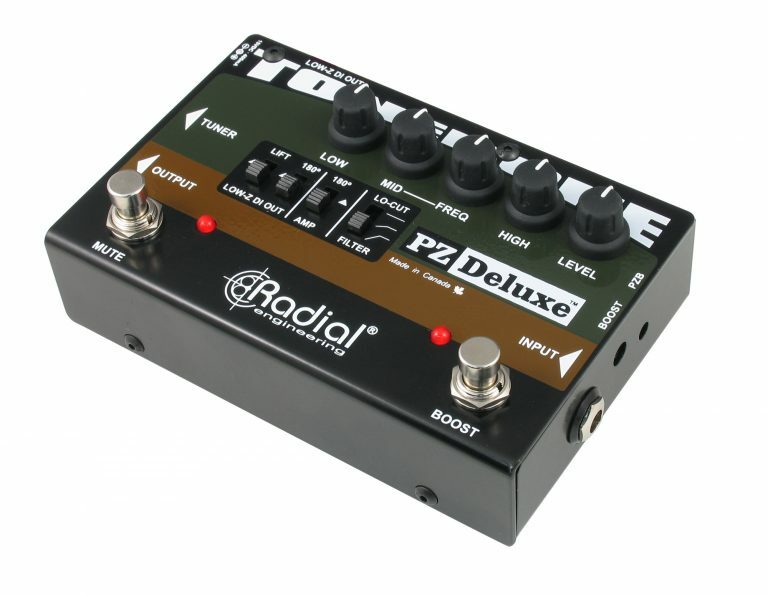 I can't think of any situation that I have come across on stage with my guitars that wouldn't have been dealt with by either the PZ-Deluxe or the PZ-Pre." "The unit packs an impressive amount of functionality into a small, easy-to-use package. 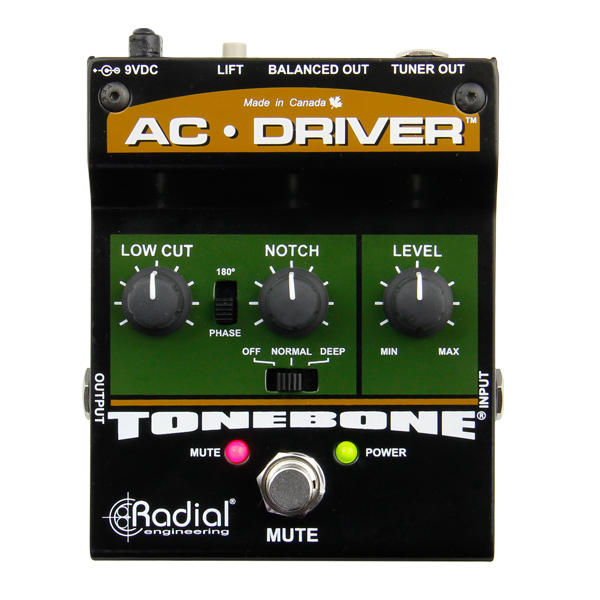 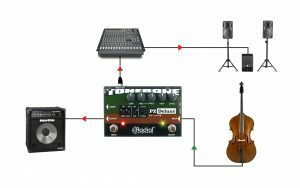 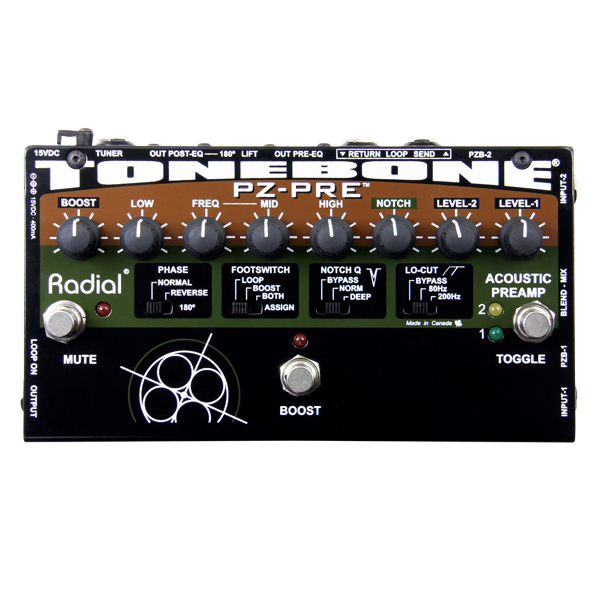 Plug your guitar into the 1⁄4-inch mono input, and the PZ Deluxe produces a low-impedance balanced XLR output suitable for a mixing board, as well as outputs that can route your signal to an amp and a tuner."